Every city can lay claim to being superlative in some capacity, but some claims to fame are objectively more desirable than others. After all, it takes a special sense of humor for a locale to want to take ownership of being "the smelliest city" in their state when there's a "prettiest" and "richest" to contend with. 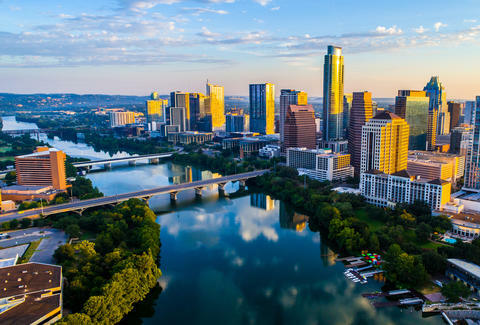 However, all of the cities below now have at least one distinction to be proud of because, according to a new survey, they're the most educated population centers in their respective states. The list was determined by the folks at the website 24/7 Wall Street, which analyzed data from the U.S. Census Bureau’s 2016 American Community Survey to identify which metro areas in each state boasts the highest percentage of adults with at least a bachelor's degree. Of course these cities aren't necessarily the smartest in their state (there are plenty of dumb-as-a-rock college grads out there), but a more educated population generally correlates with a higher median income and a lower unemployment rate, both of which are notable indicators in their own right. As you might have noticed, many of the above metro areas are also major higher education hubs where a disproportionate number of professors and advanced degree-seeking students live, which would reasonably skew it higher than perhaps a bigger city with more diverse industries. Then again, for every Boston and Boulder, there are plenty of unexpected picks, like Flagstaff and Reno.